this book is a tough cookie to review. I had never heard of this book before my physiotherapist told me about it – the 500-something pages novel was a bestseller in 2001, but I was only nine then and still very much unaware of the impact of books other than the encyclopaedia about Egypt and Greece I gobbled up at that age. 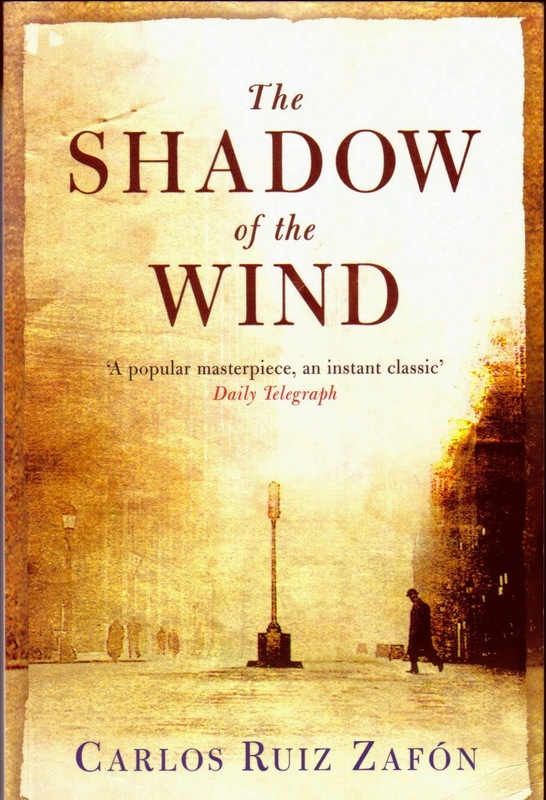 It’s written by Carlos Ruiz Zafón. You can tell by the impressive vowels in the name that he’s from Spain. And he clearly knows what he’s talking about: the book’s setting of Barcelona after the Second World War feels so realistic I feel like I have been there already. The setting of a recovering Barcelona is a big factor in the story. The days usually seem to be too hot or too cold, never truly comfortable, and mist is a frequent element. There are still bullet holes everywhere, and everyone has lost someone. People are still superstitious – in angels as well as in black voodoo and witchcraft- But in hindsight, I guess I should have expected this from a mystery novel with gothic elements. The story starts with Daniel, a 10-year-old boy who cries because he has forgotten his mother’s face. To comfort him, his father - a humble bookshop owner- takes him to a secret place called the Cemetery of Forgotten Books. Daniel is allowed to pick one book that he may take care of for the rest of his life. After walking through the numerous stacks, he picks out The Shadow of the Wind by Julian Carax. He adores the book and wants to know more about the author- not realising how dangerous this curiosity will turn out to be. It seemed that every character in this book (or at least the main characters and then some) were book fanatics. I would even go as far as saying that the only ones who weren’t, were the bad guys. Literature seemed to be everywhere, even in normal dialogue. And not your everyday common Shakespeare or Dickens, but Miguel de Cervantes, Joseph Conrad or Virgil. I had to google some books myself when I read things like “it took as long as The Brothers Karamazov”, and snigger when I read “I’d like her to say ‘my Fermín is such a lovely guy, like Cary Grant, or Hemingway or Manolete’”. This book reads at average speed. Sometimes the facts Daniel is collecting feel a bit jumbled up and hard to reconstruct in my head, because it doesn’t help that not everyone is a reliable source, or that some are just lying. But there is enough going on that this novel isn’t just about Carax’s past. I particularly enjoyed how some characters talk – I read it in Dutch, but you could feel the Spanish seeping through in how fast and how much they talk. I would have explained with an example if I hadn’t brought the book back to the library already. - You are not superstitious "in" something, you are just superstitious. You can, however, believe in something.